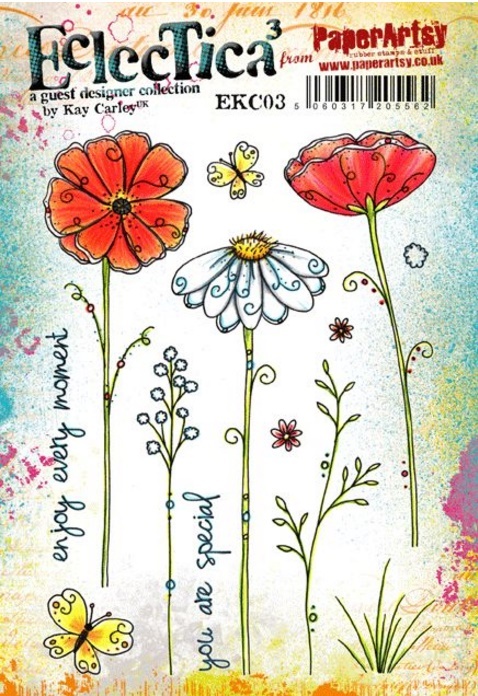 Kay Carley- EKC03 - A5 Cling Rubber Stamp Set - Stampers Grove is a webshop and mobile craft shop. Kay Carley EKC03 - PaperArtsy 2016 A5 cling rubber stamp set (5" x 7"). Presented in hanging bag, with laminated index sheet. Each image individually machine trimmed on EZ mount cling foam.